... we do this by putting candidates through a rigorous assessment centre designed & run by our team of in-house organisational psychologists." Deakon Pty Ltd. was established in 2005 to improve the NEW Business Development skills of professional Business-To-Business (B2B) sales people in Melbourne, Brisbane & Sydney. They employ a team of highly skilled specialist including Sales Trainers, Organisational Psychologists & Business Development Managers. Each member of their staff has a minimum of 15 -20 years practical experience and is recognised as an expert in their field. Their service offerings include Sales Training, Sales Recruitment & Sales Consulting. Deakon deliver these services to a diverse range of industries including IT, Telecommunications, Software, Automation, Electronics, Medical, Scientific, Industrial, Manufacturing & Professional Services. Their clients range from very small businesses through to Fortune 500 companies. myfirstsalesjob ® is the Sales Recruitment division of Deakon Pty Ltd. The Sales Recruitment division was established to help our clients source suitable graduates, career changers and people re-entering the workforce who not only want to become professional B2B salespeople, but who also possess the raw talent & drive to be successful. We are experts in the assessment, placement & training of NEW sales staff. Successful candidates have the opportunity to work for some of Australia’s best companies. myfirstsalesjob ® is the perfect way to kick-start a sales career! 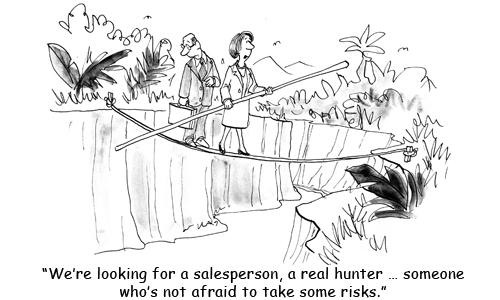 myfirstsalesjob ® is dedicated to finding the next generation of professional B2B salespeople. We have a team of experienced recruitment specialists who employ a series of intensive assessment processes to screen and source our candidates. These assessment processes accurately identify candidates who have the right combination of skills, attributes & motivation required to embark on a professional sales career. Candidates who make it through our assessment processes are matched to meet our client’s Position Description (PD). myfirstsalesjob ® is much more than a sales recruitment agency. Once a successful job placement is made with the client and following the completion of an agreed trial period, we provide the appointee with extensive professional sales training. By providing the appointee with valuable sales skills & knowledge in the first few months of commencing the role, they are given the best opportunity to succeed. myfirstsalesjob ® do NOT recruit Telemarketing or Telesales staff for call centres. We ONLY recruit NEW sales staff for professional B2B sales roles with reputable Australian businesses. What Are The Features & Advantages? Our very thorough selection and assessment processes identify candidates who have the right skills and attributes to embark on a successful sales career. A comprehensive, seven (7) page recruitment report is provided to our clients prepared by a senior psychologist. This includes a summary of each candidate’s performance against the competencies assessed during the screening processes. If an employer is unhappy with the performance of a new salesperson during the probationary period, myfirstsalesjob ® will replace them at no charge. The included sales training program provides every successful new sales applicant with the practical knowledge they need to hit the ground running and start selling. myfirstsalesjob ® provide our clients with an ongoing source of quality candidates for their sales team. We increase our client's revenue & profits by providing them with new sales staff with the right combination of skills, attributes & motivation required to embark on a professional sales career. We reduce our client’s expenses by running the assessment processes for them. Running an assessment centre is a time consuming and expensive business. We save our client’s time by only putting forward a handful of applicants for them to select from based on the hundreds of people who apply to each job application. Outsourcing the sales recruitment process to myfirstsalesjob ® also frees up our client’s staff to focus on their core business and leave the assessment, placement and training of new sales staff to the experts. myfirstsalesjob ® screens candidates seeking a professional B2B sales career using our intensive and validated assessment processes. Those who have the right aptitude, skills and drive are put forward to our clients. Once placed, appointees are developed through our comprehensive sales training program. We recognize different individuals have different skills to offer and for this reason we welcome candidates from all walks of life, from those making a career change to graduates entering the professional work force for the first time. Career opportunities in sales are many and varied, and candidates from a wide range of different backgrounds succeed in our assessment and placement processes. We recruit for an extensive list of quality organisations who offer satisfying career opportunities in professional sales. We operate in many industries including - IT, Telecommunications, Software, Automation, Electronics, Medical, Scientific, Industrial, Manufacturing & Professional Services. Our clients range from very small businesses through to Fortune 500 companies. Our assessment processes are carefully designed to ascertain whether candidates have the right skills, drive and aptitude to make the transition into their first sales job and launch a professional sales career. These assessment processes incorporate high quality, validated psychometric instruments and have been designed by our in-house organisational psychologists. We assume no prior knowledge and so we provide sales training to all successful appointees. Fear - The Art of Selling ® is a proven sales training course which provides participants with the skills they will require for a successful sales career. To speak to one our consultants - simply click on the Contact Us tab.